I’ve written before about how the Old Testament is to be read in light of the New. The Bible isn’t just some book of random stories that can be taken out of context and smushed together in new formations like pieces of an Erector Set. Rather, it’s one story, and it’s parts relate to each other in the ways they were intended by God to do. The task for us is to discern how. 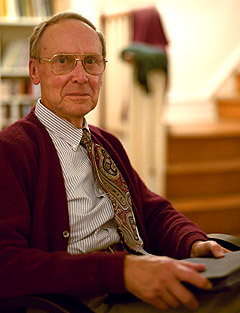 Ed Clowney taught Biblical Theology for years at WTS, and wrote some great books on the subject. He had a very helpful way of illustrating just how we should track from initial instances in the Old Testament to their fulfillment in the New Testament. 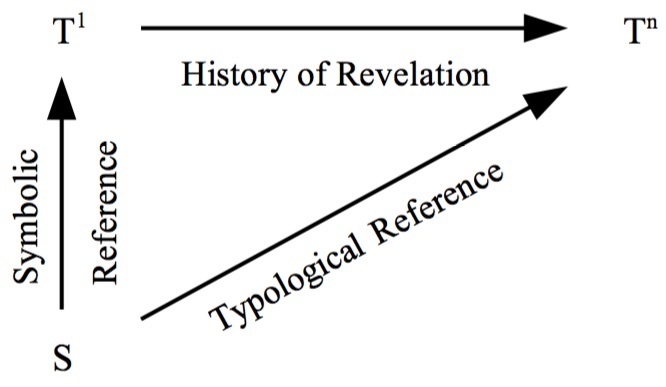 Clowney’s Triangle takes into account the initial reference in the Old Testament (S), the initial truth to which the original audience understood that reference to point (T1), and the ultimate reality to which the reference pointed (Tn). Connecting S and T1 is the symbolic reference. For example, when God required a goat to be slaughtered on the Day of Atonement in Leviticus 16, the sacrifice of the goat (S) symbolized God’s provision for forgiving the sins of his people through blood sacrifice (T1). There’s a close connection here between the symbol and what the symbol represents. As we read through the Scripture, not just Leviticus but the entirety of the Old and New Testaments, we see that the fulfillment of this truth to the nth degree is Jesus’ sacrificial death for sins which purchases our forgiveness. The typological reference isn’t made until we’ve understood the symbolic reference through redemptive history, the history or revelation. If God is the Lord of his Word, then we must learn to read in the way in which he has disclosed himself. Anything other than that is dangerous arrogance.